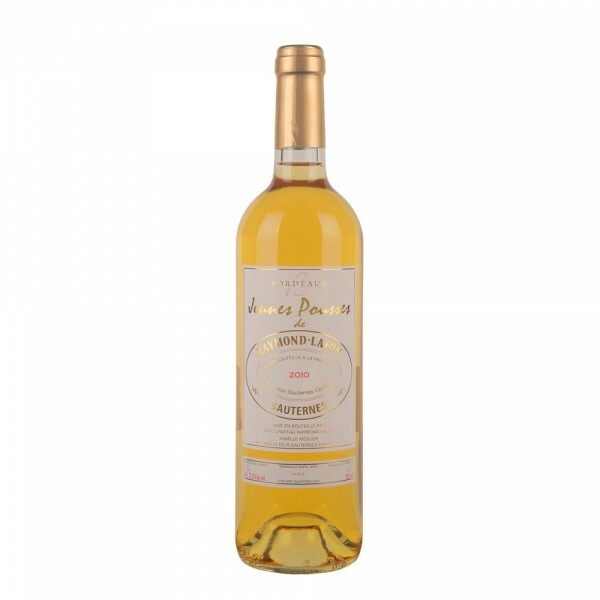 Raymond-Lafon Castle is a producer of top natural sweet wines (vins liquoreux) that are characterized by their silk structure, longevity, noble sweetness and high concentration. Jeunes pousses means "young sprouts" and is the so-called second winemaking wine. It comes from younger vineyards and matures in barrels previously used for large wine. The wine is opulent, honey-sweet with vivid acid and long in flavor. The wine has beautiful pineapple undertones. Ideally suited for cheese and sweet Asian cuisine.